As I pulled into the public parking place, a homeless guy standing there saved me $15 by showing me where to park about 15 feet away. At the same time, an “uppity” lady who was just leaving the lot started yelling at the guy for “being there and bothering people” and was gonna chase him away “with the cops”. It was really interesting. One person provided two totally different perceptions of “him“. We have to remember that EACH of us has the Universe in us. Other people don’t really see who WE are, but who THEY ARE in us. I saw the part of the guy that I was at the time- happy and helpful and just enjoying the day. The uptight hollering lady saw the part of the guy that she was; a problem, something not at ease. It was a really good reminder that who you think you are, is not what or how others see you. Everyone connects with their own version of “you”, depending upon what they’re looking for. “You” stays constant. I was on one frequency or emotion and that is what I experienced with this homeless guy who helped me out. We only merged with that part of him that was consistent with our own frequency. Nothing about “him” changed. Remember that idea today and tomorrow, as you “see” others. Do you find people that rub you wrong, or do you find helpful, fun people? The lady who was upset would argue for hours about why she was doing fine except for this homeless guy that made her upset. Be aware of the frequency, the thoughts, that you have sent ahead of you in your life. Those thoughts are the ones that you will then see in others. Please remember that next time you let someone’s opinion or reaction to you, bother you. It is only themselves seeing themselves in you. It says nothing of who YOU are, but speaks endlessly about who THEY are. You are the Universe, and others only see the fraction of that Universe dependant upon where THEIR telescope is looking. It works both ways!!! The person that YOU are judging is ALSO the Universe, and you are only seeing “you” in them as well. Be mindful about what you “see”. An ear only hears what it is tuned to, or “can hear”. It translates one small range of frequency. 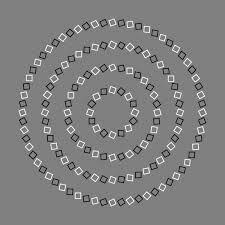 It does not respond to the different frequencies that an Eye translates or respond to (“sees”). An Eye detects “there is NO frequency, (there is no energy) coming thru the wall.” While the Ear reacts to a different frequency and says “Yes, there is something coming thru the wall.” Which is right? You experience that which you ARE. This entry was posted in Daily Blogs, Favorite Blogs! and tagged Judgements, Law of Attraction, Opinion only, Perception by MomentumMikey. Bookmark the permalink.